With the “new reality” created by the terrorist acts of Sept. 11, 2001, companies throughout the globe faced a new set of issues in managing the broad spectrum of risks created by these events. 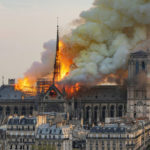 In a study released Wednesday by Aon, the organization found that 57 percent of companies studied have decided to “take up” some kind of terrorism insurance – an increase over the 24 percent found earlier this year. An Aon White Paper analyzes the terrorism coverage available in detail, and the company issued a call for added emphasis to renewal of the Terrorism Risk Insurance Act (TRIA), which, without action by the US Congress, will expire on Dec. 31, 2005.
year federal “back stop” reinsurance up to an aggregate limit of US$100 billion, and requiring insurers to make TRIA coverage available to policyholders. The white paper from Aon, “Terrorism Risk Management & Risk Transfer Market Overview,” is available for clients and markets. Those interested in receiving a copy can visit http://www.aon.com .